All things considered, I’d say I have a pretty moderate relationship with sugar. I love homemade dessert, and I bake with sugar, be it refined or natural. As a longtime nutrition student and RD-to-be, I’m mindful of how much I use and I keep in mind that treats are special. But I’ve never avoided sweetening. 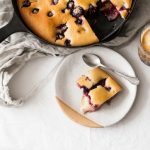 This works well for me, but the most common question I get asked about my baked goods here on the blog is whether the sugar can be reduced, and how. I do my best to give good answers, keeping in mind that reducing sugar (or using a liquid sweetener in place of granulated sugar) can change the texture and taste of a finished product (less moisture, less rise, etc.). Now that I’ve spent a few months working with diabetic patients, I’ve gotten savvier and more knowledgeable about lower sugar baked goods. In my last two rotations, my counseling was almost entirely dedicated to diabetes management. I saw firsthand how much vigilance goes into monitoring and carbohydrate intake and covering it with medication, if appropriate. We never advised our patients to avoid dessert, but we did encourage them to be mindful about how much and how often. And we spent plenty of time chatting about how to create pleasurable desserts at home with less sugar, or with alternative sweeteners. I’ve never used alternative sweeteners because they haven’t been necessary for my own health needs. When I do reduce sweetness of baked goods, I generally just use less cane sugar or maple syrup. But my winter rotations made me remember being a student in medical nutrition therapy, when our professor taught us to take our own blood sugar in class. As we were pricking our fingers, she told us that the purpose of the exercise was to better understand what our future clients—some of whom would surely have Type I or II Diabetes—experienced each day. Months later, she asked us to try liquid supplements, so that we’d know what patients who relied on them for nutrition support were tasting (there weren’t any vegan options, but it did get me thinking about how great a need there is for them). I appreciated my professor’s perspective. There’s a big difference between abstract guidance and firsthand knowledge. Before telling any client to do something, I’d rather have a some lived experience of what I’m suggesting. And now that I’ve spent so much time with diabetes management, it’s important for me to understand the dietary changes that need to accompany a diagnosis—enjoyment of lower sugar sweets included. Just as I was wrapping up my rotation at the Institute for Family Health, the folks at who produce the In The Raw® family of sweetener reached out to me about sampling their Monk Fruit In The Raw®. Monk fruit (also known as luo han guo) is a type of gourd that traditionally grows in China, and it’s been used medicinally for centuries. 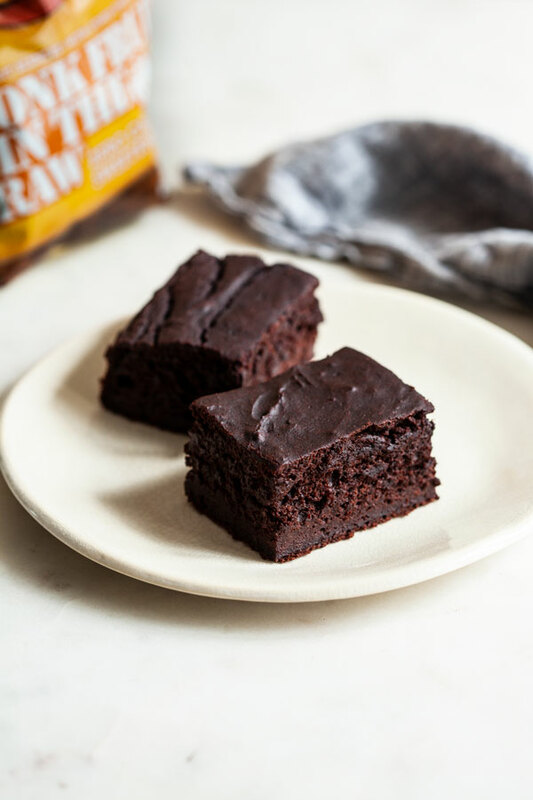 Monk Fruit In The Raw is a zero calorie sweetener that’s perfect for sweetening beverages and baking. Plus, the bakers bag conveniently measures cup for cup, just like sugar. Having never tried the product—and especially since I was in the middle of diabetes counseling—I was excited to sample it. I had a much better experience with it than I’ve had with other alternative sweeteners, especially for baking! It has a pleasantly fruity taste, and the signature baking bag makes it easy to add to cookies, cakes, and more. In my experiments so far I’ve used a combination of the Monk Fruit In The Raw Bakers Bag and sugar to reduce sugar while retaining texture and rise. Folks with diabetes who prefer a truly sugar-free dessert could use all monk fruit instead; the brand recommends using about half the amount of monk fruit for the amount of sugar called for. The baking recipe I’m sharing today takes even more inspiration from my internship, as it was inspired by something I made in my last rotation. I was working with kids, using hands-on cooking experiences to teach them about food and nutrition. My supervisor and I shared a chocolate beet cake, which was an easy and delicious treat for them to make and also a great opportunity to teach them about beets (watching their little faces light up as we cut the beets open and showed them the electrically colored interiors was so sweet). 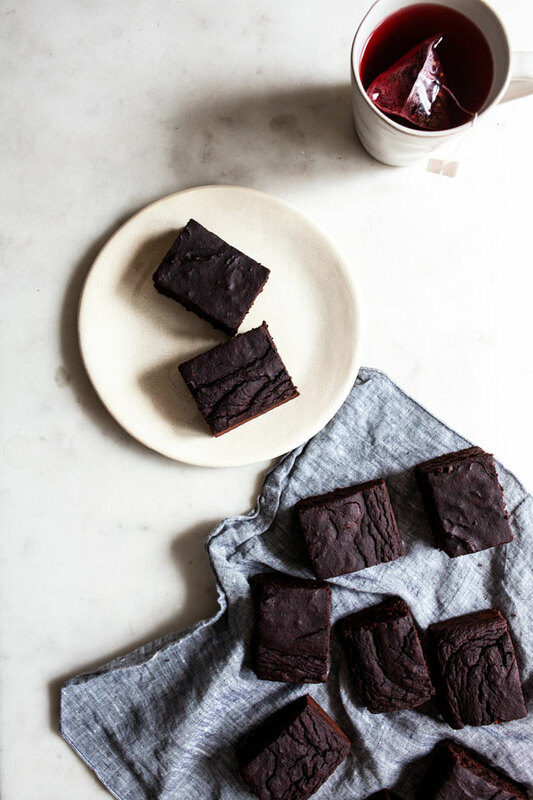 An upside of using pureed beets in baking is that they add a lot of natural sweetness along with moisture, which means that it’s easy to cook with reduced sugar and fat. The beets add plenty of vitamins and minerals, and they sweeten while also contributing fiber, which helps to control the release of sugar into the bloodstream. 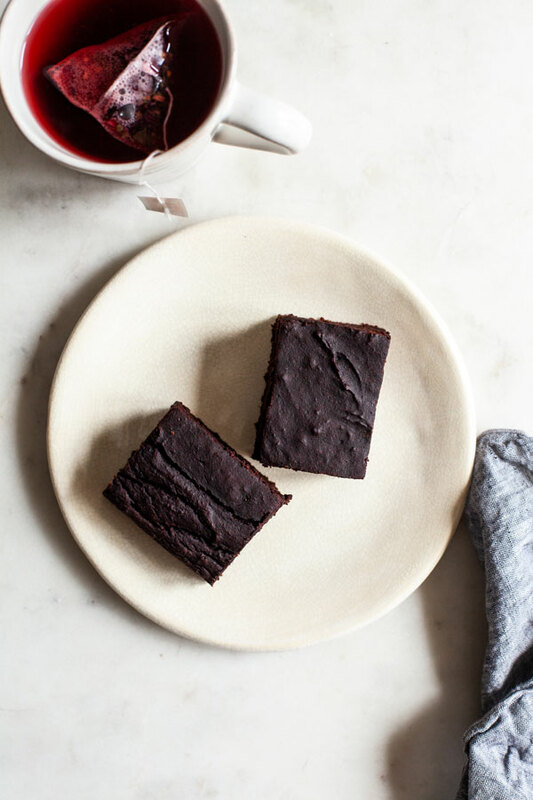 Today’s chocolate beet cake uses a combination of beets, monk fruit, and a small amount of granulated sugar to create something that tastes completely like dessert, but has a balanced ratio of sugar and fiber. 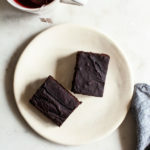 It’s also relatively low in fat (only 1/4 cup of oil for the whole recipe), and—thanks to the beets—packed with fiber, folate, potassium, and vitamin C. I based it off of a Martha Stewart recipe, and I’ve made it repeatedly already, so that I could recommend it to patients and clients. For diabetics and those who are being mindful of sugar intake for any reason, I like to use a 50/50 combination of monk fruit and coconut sugar here (6 tablespoons of each). This gives a nice rise with less sweetener. 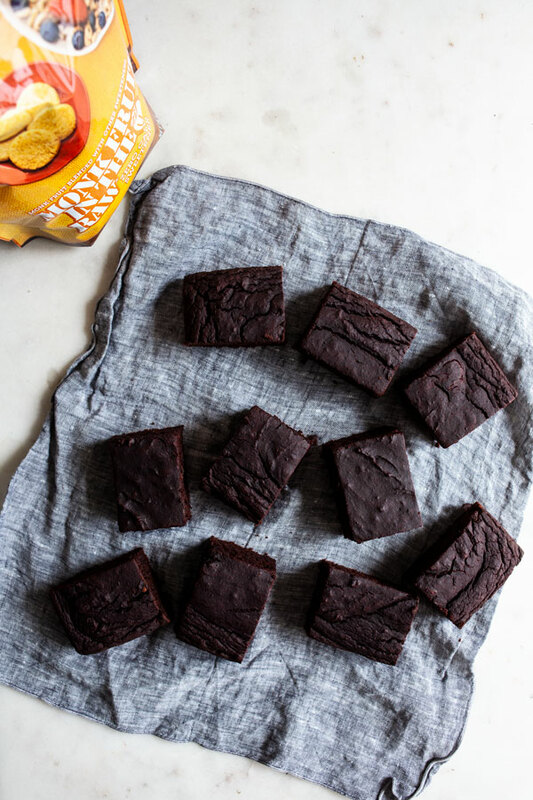 If you like, you could use all monk fruit, which would yield a denser and fudgier texture—think cakey brownies 🙂 And of course, you could also choose to use all granulated sugar of choice, which will give you a very similar cake, but a little more fluffiness and rise. No matter how you make it, this one is really a keeper. 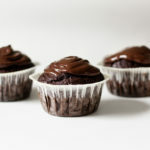 It’s plenty chocolatey, and the beets give it a wonderful moistness and rich flavor. It’s super fun to make with kids (they love the beet purée!) and nutritious enough to serve as a special snack/treat as well as a proper dessert. Here’s the recipe. 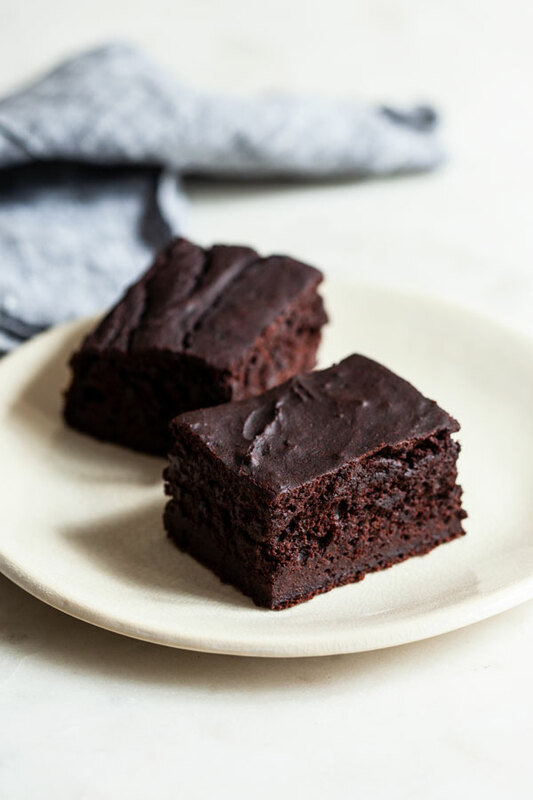 This lightly sweetened vegan chocolate beet cake has a moist texture and just the right amount of sweetness. Perfect for snacking! First, make your beet purée! Preheat your oven to 400F. Wrap each beet in foil and roast for 45 minutes, or until the beets can be easily pierced with a fork. When the beets are cool enough to touch, run them under cold water while you slip off the skins. Roughly chop the beets, then add them to a food processor or blender. Blend or process the beets until they make a smooth purée (a couple minutes). Set the purée aside; you should have 1 1/2 cups or so. Reduce the oven temperature to 350F. Lightly oil an 8 x 8 square baking dish (or an 8 or 9 inch round baking dish). Whisk together the flour, baking powder and soda, salt, cocoa, sugar, and monk fruit in a large mixing bowl. In a separate bowl, whisk together the beet puree, oil, water, vanilla, and vinegar. Add the wet mixture to the dry ingredients. Mix the ingredients till you have an evenly mixed batter; a few little clumps is fine. Transfer the batter to your baking dish. Bake for 40-45 minutes, or until the top is firm and set and a toothpick emerges clean (or nearly clean). Allow the cake to cool for 15-20 minutes before removing it from a pan and transferring to a wire cooling rack to cool to room temperature. Cut into pieces and enjoy. *In place of roasting beets from scratch you can use one of the pre-cooked beet options on the market these days! You'll need 4 beets, which is usually about 1 lb (12-16 ounces). **Substitute 12 tablespoons sugar for the combination of sugar and alternative sweetener if you wish. A word about the beets in this recipe: it’s nice to make the purée from scratch, but nowadays it’s not too hard to find pre-cooked beets that are ready to eat. My local grocer usually carries one or two options, and it makes adding beets to salads really easy. It also cuts the preparation time of this tasty cake considerably, so don’t hesitate to us the option (or canned, cooked beets) if that’s more convenient for you. You need about 1 1/2 cups beet purée, which for me has been about 1 lb cooked beets. This cake is lovely with a cup of tea, a cup of coffee, or a glass of non-dairy milk. If you’d like to dress it up for a special occasion, you could easily add glaze or vegan frosting to it. As it is, it’s a perfect snack cake. 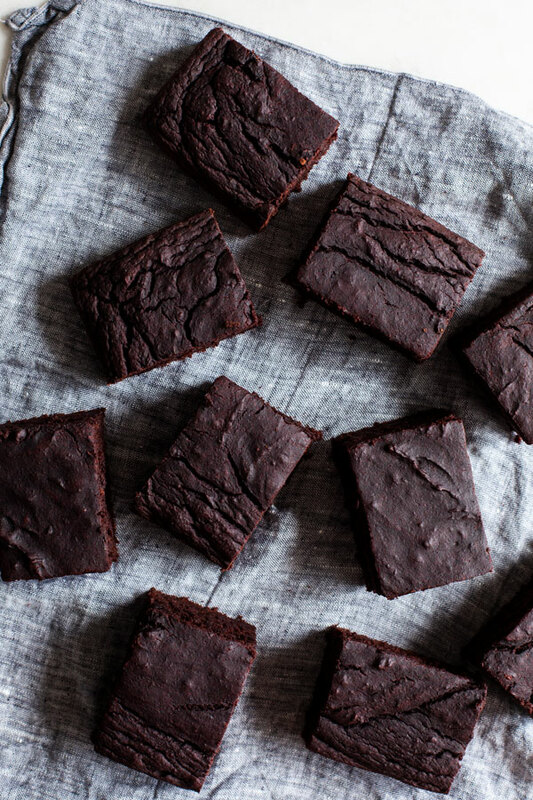 A little sweet, a little nutrient-dense, and very satisfying. My work encourages me to learn and experiment all the time, and I’m so glad to have found an alternative sweetener that has a taste I like, a texture that works well for baking, and is low sugar enough to be appropriate for a lot of the folks I work with. This post is sponsored by Monk Fruit In The Raw®. All opinions are my own, and I love this natural alternative to sugar. Thanks for your support! This cake sounds delicious – I will definitely try it! I also wanted to say how much I enjoyed this post. It’s nice hearing more details about what your internship rotations have entailed, as well as learning more about specific dietary needs and ways to accommodate them. Thanks for sharing! Very glad to see a dessert recipe with fiber and less sugar! Very helpful in managing the sweet tooth as well as diabetes! can i use buckwheat flour by chance? I can’t vouch for the results with 100% buckwheat; typically I only have success with buckwheat flour if it’s combined with other flours and starches. It may be very dense and not rise much, especially since the sugar is low. You are of course welcome to try, and if it’s a success, let me know! But I would expect there to be changes to the texture and probably wouldn’t recommend it.